“If these inhibitors also prove effective in humans against low blood sugar, then this supports the idea that the area of application of these drugs could be broadened to include persons with diabetes that is difficult to control and suffer from frequent hypoglycaemias”, said Siri Malmgren, a researcher at Lund University. 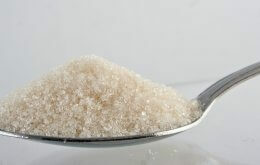 Blood sugar levels that are either too high or too low over a long period of time can cause serious harm to the body. Hypoglycaemia (low blood sugar) can occur in people with diabetes when they have eaten too little or after strenuous physical activity, as well as when they have taken too much insulin. It is an unpleasant condition with symptoms including heart palpitations and dizziness that can lead to a life-threatening ‘insulin coma’. However, fatalities are extremely rare. Normally, the body’s own defence against hypoglycaemia is the hormone glucagon, which stimulates the liver to produce sugar and thus raise blood sugar levels. For those with diabetes, this regulation process doesn’t work, leading to an increased risk of developing hypoglycaemia. “In order to be able to offer people with diabetes more reliable treatment, it is important that their medication supports the body’s own defences against hypoglycaemia”, said Siri Malmgren, who conducted the study. The researchers have therefore investigated whether DPP-4 inhibitors (Januvia, Galvus and others), an existing class of diabetes drugs could fulfil this function. “One of the advantages of DPP-4 inhibition as a treatment for diabetes is the very low risk of hypoglycaemia. Through Dr Malmgren’s important work, a fundamental new principle for this has been identified. We are now beginning to understand why DPP-4 inhibitors reduce the risk of this serious side effect”, said Professor Bo Ahrén, the principal investigator for the study. Mice treated with DPP-4 inhibitors were seen to have much better protection against hypoglycaemia than mice that were not given DPP-4 inhibitors. Their own production of glucagon also increased. DPP-4 inhibitors stimulate the body’s own insulin production – which lowers blood sugar – and work by raising the levels of another hormone – GIP – that is secreted in the intestines when we eat. Giving mice high doses of this hormone also protected them against hypoglycaemia and increased their glucagon levels. “We believe that DPP-4 inhibitors not only lower blood sugar but also provide direct protection against hypoglycaemia, at least in mice, and that they do this by increasing levels of the hormones GIP and glucagon”, said Siri Malmgren. The researchers also reached the conclusion that GIP, which has previously been considered to lower blood sugar, in fact normalises blood sugar levels. Insulin and glucagon are two hormones which are both produced in the pancreas and which interact to maintain good blood sugar levels. In type 1 diabetes, this interaction is disrupted because the insulin-producing cells have been destroyed, and insulin must therefore be administered. In type 2 diabetes, patients still retain a limited ability to produce insulin, but the cells are no longer as able to react to insulin. Treatment of type 2 diabetes therefore involves both stimulating the cells’ insulin reaction and supporting the body’s own insulin production. DPP-4 inhibitors contribute to this.